...I love to needlepunch. Did you know you can needlepunch on an embroidery module these days? SO much fun. 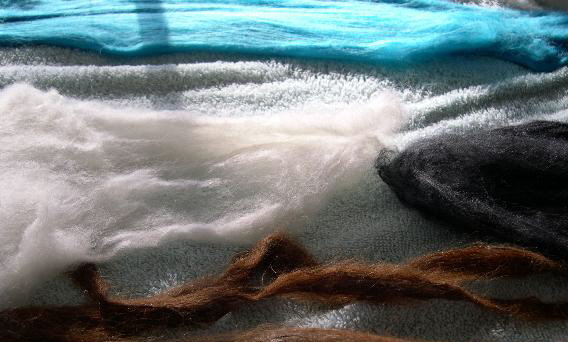 Pure merino fiber is a favorite material of mine for needlepunch art. Click on materials to find out what other basic supplies I recommend for needlepunch. View current simple projects here. Many are for stitch, not punch!